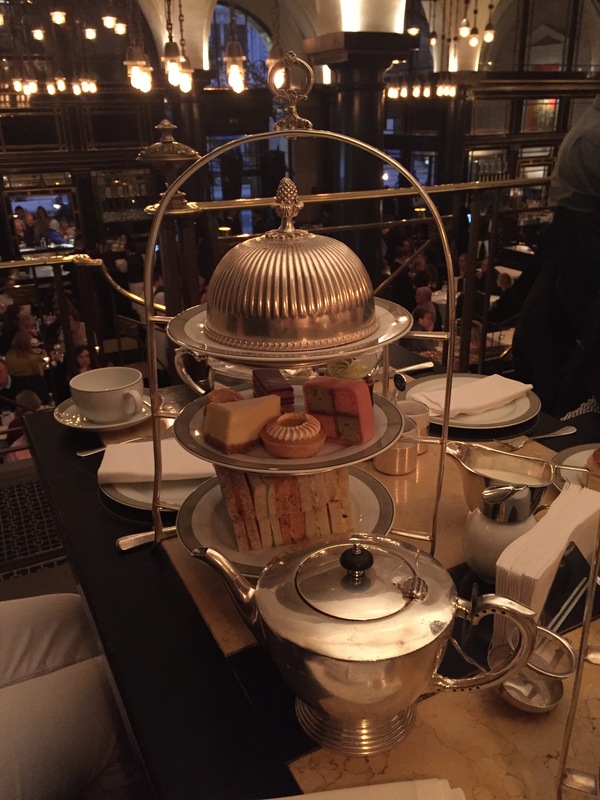 It is Saturday night and I have just got home from afternoon tea at The Wolseley. I’ve poured myself a glass of prosecco and thought I would share with you my lovely afternoon! 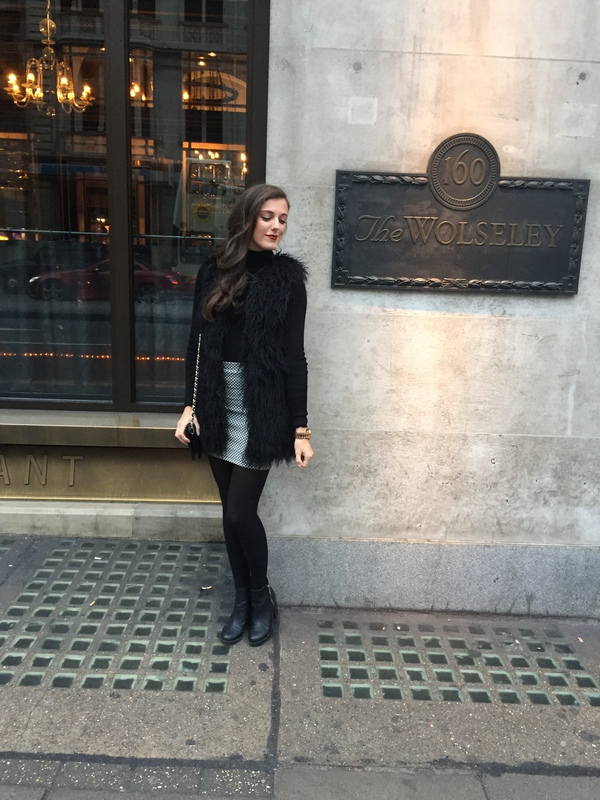 I have been to The Wolseley once before for a meal on my 21st birthday and had an amazing time. So, as you can imagine, I was very excited when my aunt said she wanted to go for afternoon tea while she was in London to celebrate her birthday. 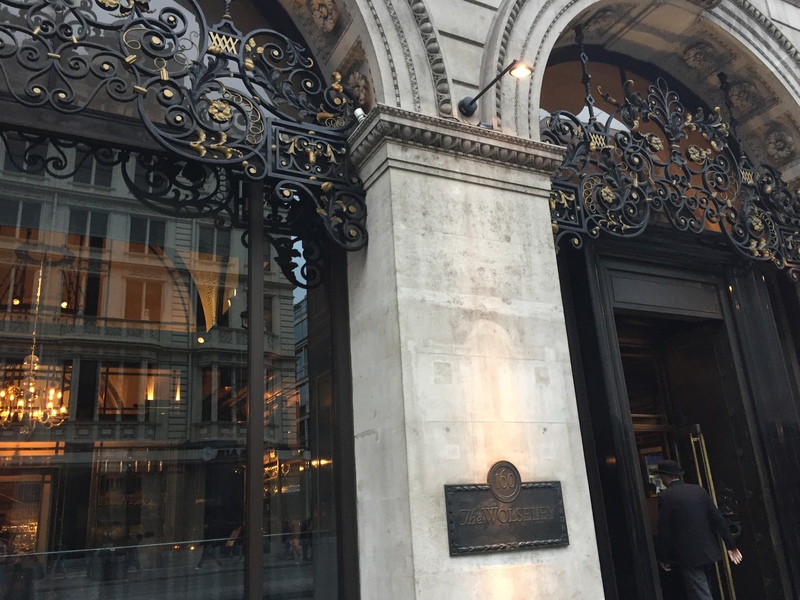 A beautiful building situated on Piccadilly, near The Ritz and Fortnum and Mason, stands proudly with a doorman in a bowler hat ready to let you inside. The 1920’s building which was once a car showroom and then a bank, is now a beautiful restaurant. Dressed in black and gold, the interior has a 1920’s art deco feel with both Venetian and Florentine influences. It feels vey grand with elaborate drooping light fittings and a small balcony level for several tables where we were seated. This was perfect for us! We had a great view of the restaurant as well as a quieter table; the place packed out by half past five with people tucking into afternoon tea and the odd early dinner. We opted for the full afternoon tea which included a pot of tea of your choice, a selection of finger sandwiches, cakes and pastries and the afternoon tea staple: scones with cream and jam. I had the breakfast blend (you can’t beat it!) as did my mum. 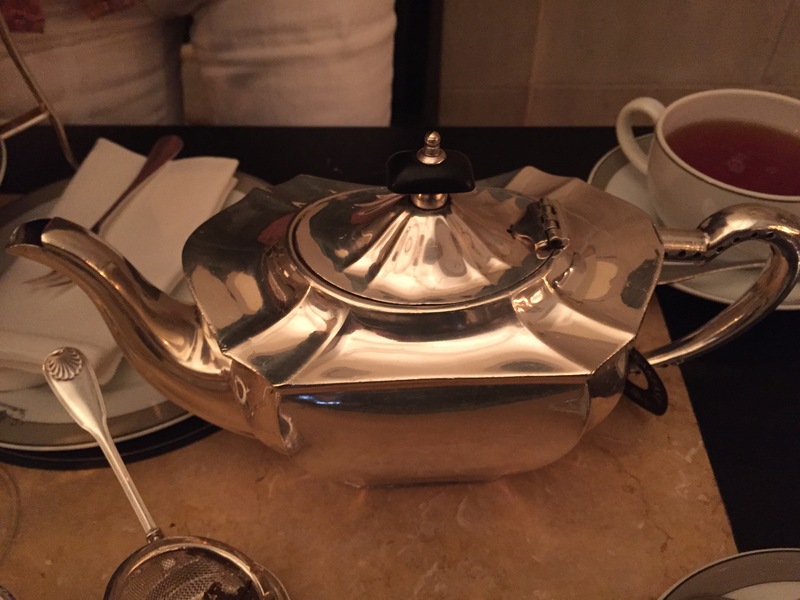 They gave us a large ornate silver teapot between us which was very fitting in this beautiful venue. 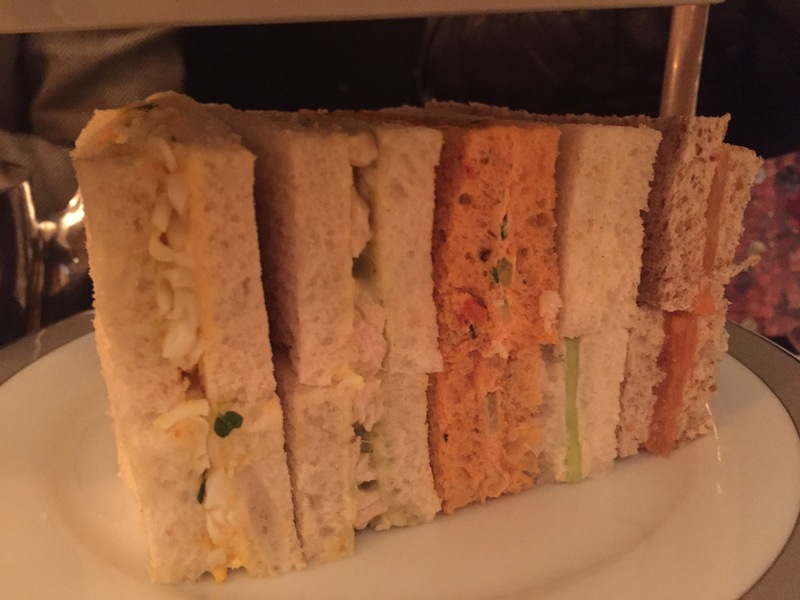 The sandwiches had all the usual suspects from smoked salmon, to chicken, to cucumber and cream cheese. The cakes and pastries had a great variety: from a classic battenburg to a passion fruit and meringue pastry (which was my personal favourite!). 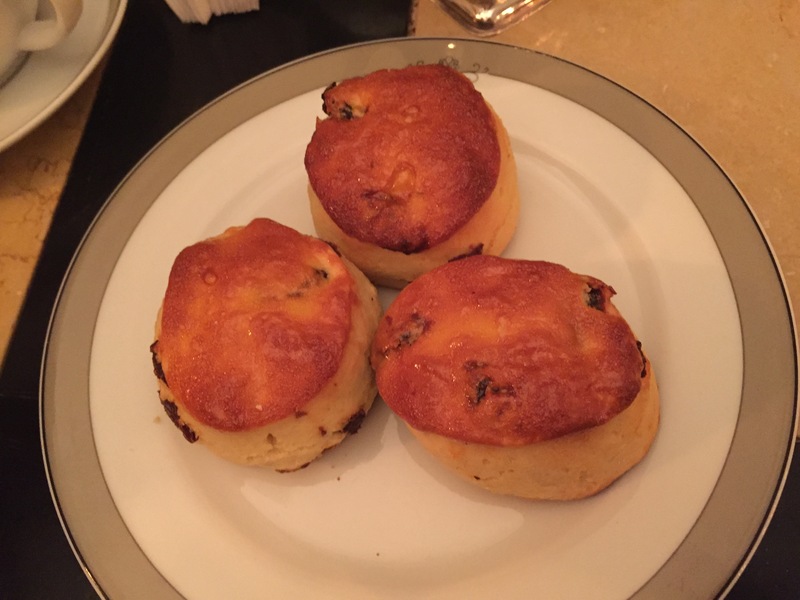 The scones where the highlight for me. I’m actually not a huge fan of scones and only indulge in one when I go for afternoon tea (well it would be rude not to). However, these were delicious! I wasn’t a huge fan of the sultanas inside but they arrived perfectly warm with a fluffy yet dense inside… how could I not resist?! With the cream and jam on top (which way round to you put them on?!) they were perfection! 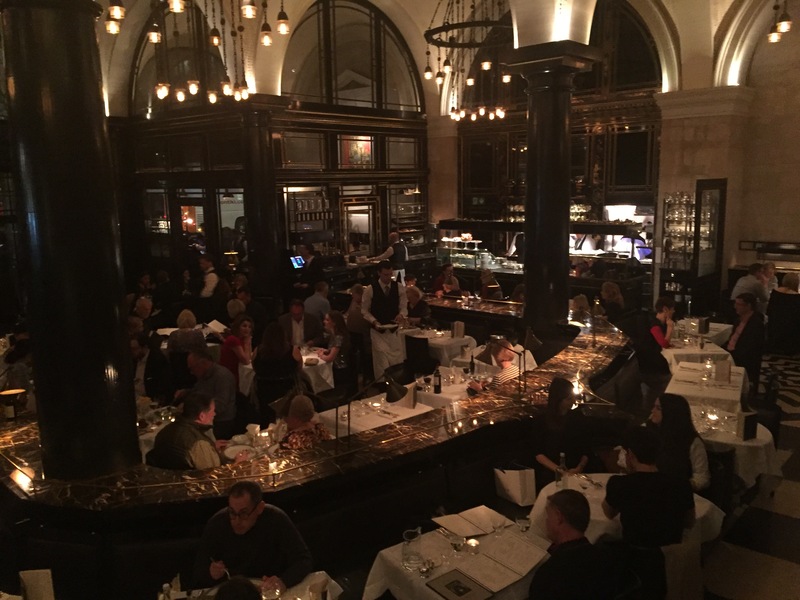 If you’re looking for an afternoon tea outside of your standard hotel setting, I would definitely recommend The Wolseley. The decor is so different from anywhere else and you might even spot a celeb or two (Kate Moss and The Beckhams are regulars). 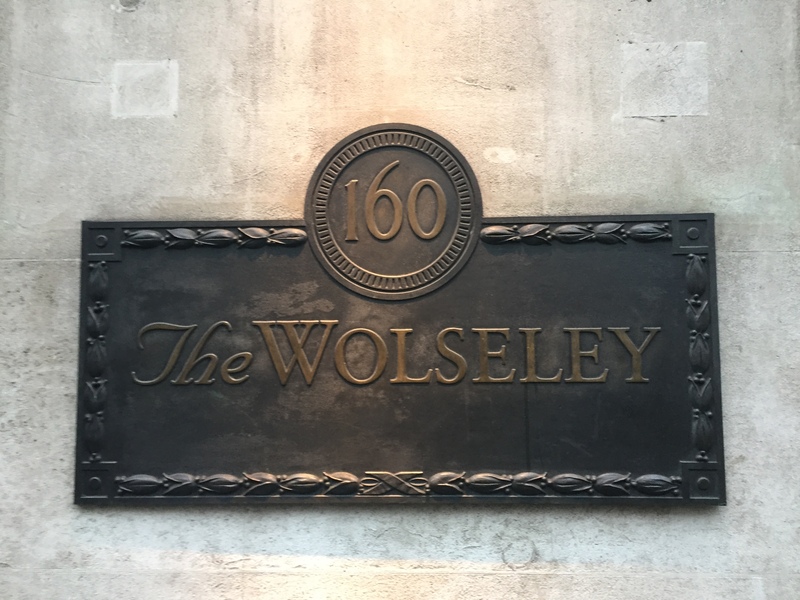 However, with these names, comes a price tag of £27.50 per person for the regular afternoon tea, and the ‘The Wolsey Champagne Tea’ will set you back £38.50. 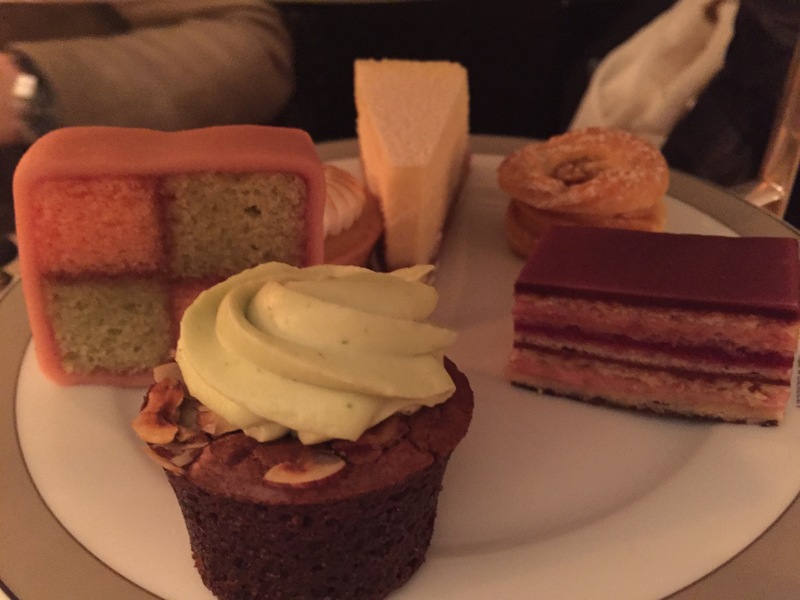 I hope you enjoy reading this, and I would love to hear your top spots for afternoon tea! Any excuse for cute finger sandwiches and lots of cakes!